2. Everybody online converges on the “top” 5-10 places, and because this city runs pretty strong computer game, everyone wants to go to those places, all the time. We are definitely part of the problem. The places that are booked 60 days out tend to score high ratings with The Infatuation as well. Because they are usually excellent. Your imaginary friend better like chicken on a stick, though. Nojo does it every which way, and they’re all pretty damn good. A special shout out to the chicken tail, because a) chickens have tails? b) that are cookable? c) YES. Also that chawanmushi (savory egg custard) with Dungeness crab. Nojo is a great example of our favorite class of restaurant: excellent food and not a pain in the a** to go to. Maybe we should add that to the “Perfect For” categories. 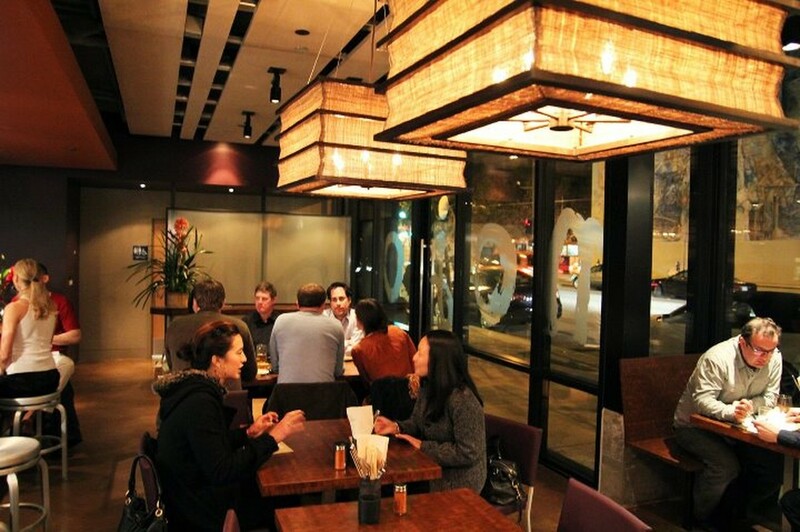 In case it wasn’t clear from the rambling above, Nojo specializes in yakitori. This giant meatball is fatty and juicy, and it comes with an egg yolk for dipping. Also noted above, this was awesome. Tender as hell and packed with chicken flavors. A must-order. Chewy... fun to try once, but not a necessity. Do it. Dooooo ittt. You’ll totally regret not getting your Temple of Doom on. Wuss. Basically a wing with bonus meat. Thumbs up. All the chicken is cooked perfectly, so if you want to stick with more standard cuts, you’ll still have a great time. For the person who steals all the skin from the Thanksgiving turkey. For the rest of us, it might be a little too much skin. All the not-chicken-on-a-stick stuff is great as well, and this is one of the favorites. It’s a light, spicy salad. Hot savory egg in a bowl, with delicious crab bits. If available, it’s mandatory. Good but not crazy good. It’s not the best fried chicken in SF, but if you’ve got a hankering, you’ll be happy. We had this with persimmon, and it was honestly one of the best desserts of the year. So simple, and so, so good. Head to Robin in Hayes Valley for excellent omakase that doesn’t involve burning all your money. Elephant Sushi in Russian Hill usually has a bit of a wait, so try to head there on the early side (they open at 6). Coqueta on the Embarcadero has tapas and cocktails with views of the Bay. We've found our new go-to ramen spot.